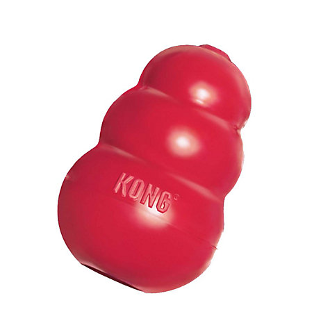 The KONG Classic has been the one of the best dog toys for over thirty years. The super-bouncy, red natural rubber is perfect for average chewers. Stuff your KONG toy with KONG Ziggies, Snacks or Easy Treat paste to keep your dog occupied for hours. Satisfaction guaranteed.